Mark Scarlata’s theological commentary on Exodus bridges the gap between accessibility and scholarly rigour to provide a unique perspective on the overarching theology of Exodus drawing particular attention to God’s revelation at the burning bush, Sinai, and the tabernacle. John Goldingay called the The Abiding Presence “an impressive achievement” and Walter Brueggeman said it is”of immense value for preachers, teachers, and serious church readers“. Christians are deeply concerned about consumerism, but lack the tools to be able to engage robustly in the debate about its future. Economists obfuscate, politicians polarise, and church leaders bluff. Buying God argues that consumerism can be as redemptive as it can be parasitical. We just need to consume for God instead. Drawing on the Church’s rich traditions of Social Liturgy, the author Eve Poole, calls on the Christian community to renew its confidence and strength in proclaiming this good news. The ocean dominates the surface of the earth and is in the pages of the Bible too. The Bible offers a view of the sea and the life it supports which affirms its intrinsic value to God as a good, and indeed essential, part of creation. Blue Planet, Blue God is a unique collaboration between the oceanographer Meric Srokosz and the biblical scholar Rebecca Watson not only offer environmental insights on the sea, but also connect the ocean with other key issues of broader concern-spirituality, economics, chaos, and our place in the world. Paula Gooder called it “one of the most unusual and enjoyable books that I’ve read in a long time“. Since its beginning in the 1990s, Radical Orthodoxy has become perhaps the most influential, and certainly the most controversial, movement in contemporary theology. Preaching Radical and Orthodox offers an introduction to the Radical Orthodox sensibility through sermons preached by some of its most notable proponents, including Stanley Hauerwas, Catherine Pickstock and Graham Ward. Moving from biblical theology to systematic theology to practical theology, Work: Theological Foundations and Practical Implications offers a comprehensive theology of work. With contributions from a variety of leading theologians including Miroslav Volf and Samuel Gregg, this book brings together biblical scholars, ethicists, economists representing a spectrum of theological voices. With contributions from leading theologians and philosophers, including Oliver Crisp and Paul Helm, Being Saved: Explorations in Human Salvation brings together a series of essays on the major topics relating to the doctrine of salvation. The book provides readers with a critical resource that consists of an integrative philosophical-theological method, and will invigorate this much-needed discussion. Find many more titles on display on the SCM Press tables, which you can find at booth #411, hosted by Westminster John Knox. Safeguarding – defensive weapon or missional tool? Do we have to do safegaurding? This is a question that is still regularly asked in local churches and trustee bodies. Despite publicity regarding Jimmy Saville, Harvey Weinstein, the Independent Inquiry into Child Sexual Abuse, I still hear people asking, do we have to do safeguarding? I think we do, but I want to add a qualifying note. We have to do safeguarding as a Church in order that we all might flourish and live abundantly, but I want us to do safeguarding joyfully, enthusiastically and effectively. I understand safeguarding as a missional tool rather than a defensive weapon to guard the Church from allegations from abuse. Only when we understand to safeguarding for everyone as part of enabling God’s mission, will we stop seeing it as an unnecessary distraction from mission and ministry and something which stops us from doing mission. The missional task for the Church is one of co-operation with God in God’s loving purposes for the world. God desires that we should have abundant life – and that is only possible if we live holy lives, which allow all people to flourish, and which offer protection to the vulnerable. The fact that we are still asking the question suggests we live in a dream state in a mythical world where Church is always wholesome and God’s people free from sin. Of course we have to do safeguarding because every part of a community must. The Church however should want to take a lead in this area and develop excellence because we believe that relationships should be holy and life giving, that in Christ we are set free, and we should therefore regard each and every person as those for whom Christ died and thus those who we offer service to, not oppression or abuse. Holiness should lead to flourishing for all and if it doesn’t it – isn’t holiness. Excellence in safeguarding practice in the Church will come about when see it as an everyday part of the task of holy living, as part of Kingdom living where the weak are made strong and built up. When we view it this way it becomes not just the responsibility of the safeguarding officers as experts in safeguarding but rather everyone’s responsibility. Our accountability to God for whom we are, have been and are becoming determines our accountability to one another and for one another. Honesty with God should create honesty between us as a community and as we are God’s gift to one another we cannot ignore our responsibility for care of the gift. To live in the gaze of God is for the whole of the landscape of our lives and the landscape of our Church’s life to be examined. We may be found wanting. We have many times, in many places and circumstances been found wanting and have failed the vulnerable and weak who were entrusted to our care. We have, as a Church, been arrogant, dismissive and failed to listen. We have colluded and failed to challenge those with power and authority. We have been like millstones around the necks of the vulnerable and contributed to their drowning in a sea of pain and loss. So we need to change our culture, our world view, our attitudes and our practice but we also need to do better theology about the nature of sin and forgiveness, responsible grace and we need to improve our tools of accountability. So the better question to ask might be how do we improve the accountability of those in public and representative ministry, those who have role power and status, and how do we help ministers and those with significant pastoral responsibilities to develop an attentive gaze on how they respond to others, impact on them, attend to their own personal needs without seeking them elsewhere and take responsibility for their lives, practice, ministry before God? I want to suggest that before we get to complaint and discipline procedures there might be a way to increase the oversight function for all those in significant pastoral ministry through regular, formal and intentional 1:1 supervision of practice. The Methodist Church following the publication of its Past Cases Review in 2015 is in a significant place in the implementation of the recommendation of the PCR report Courage, Cost and Hope (www.Methodistchurch.org.uk) that formal supervision of ministers should be introduced. The Director of Supervision overseeing the work for the Methodist Church is the Revd. Dr. Jane Leach of Wesley House, Cambridge (www.wesley.cam.ac.uk ). The handbook for the training in supervision being offered to ministers in oversight of teams of circuit ministers developed by Jane Leach is entitled Responsible Grace. The title comes from a reference to Randy Maddox’s book of the same title (Nashville, Abingdon Press, 1994). Randy Maddox asserts that God’s grace does not descend “untethered into our lives” like a deus ex machina . Rather, Maddox suggests that God’s grace is always linked, always united with a summons to join with Godself’s redemptive work in the world. We are called and chosen to bring the gospel to the ends of the earth. We are healed and restored that we might become instruments of healing. We are forgiven and given grace and liberty to forgive others. We are therefore never mere passive recipients of grace, but we are called to become co-participants with God in redeeming the world. We therefore have responsibilities – to create a safer Church and world, to offer to God the best of ourselves and we are called to faithfulness and integrity so that all might flourish. Maddox’s phrase “responsible grace” manages to capture in a single phrase the joy of our partnership with God in being those who both hear the good news and in being the good news for the world. It is still God’s undeserved grace. But it comes with a summons to us to respond responsibly to that same grace revealed to us in Jesus Christ. So, yes, we have to do safeguarding and we want to do safeguarding and we intend to do it excellently because it is central to the work of God. Helen Dixon Cameron is Chair of the Northampton District of the Methodist Church, former Director of Methodist Formation of the Queen’s Foundation, Birmingham and Co-Chair of the Anglican: Methodist Safeguarding Group. 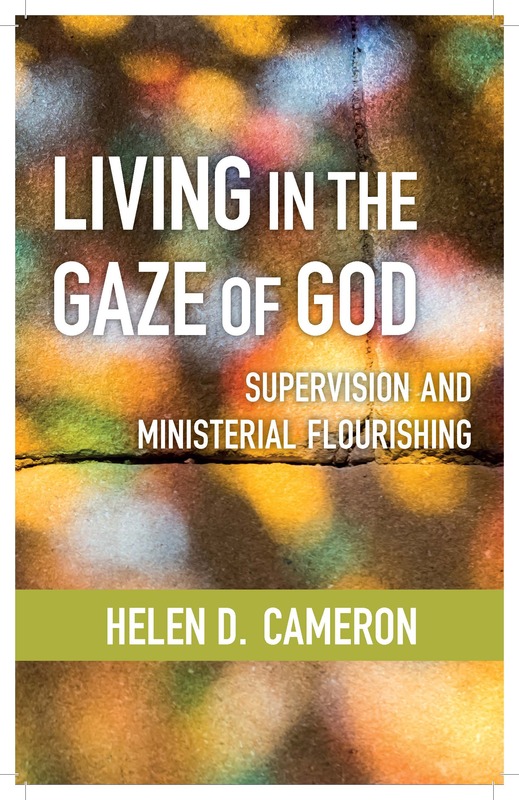 Living in the Gaze of God is published in November. Preorder now at a special launch price.